On today’s menu: business cards. 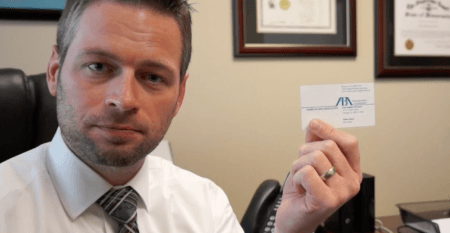 Business Cards – so useful, but so useless! Today, I’m tackling an issue that I’ve had for quite a while: what the hell do I do with all of the business cards that I’m handed at events. They disappear SO FAST! Plus, the ones I have tend to be of little value when I’m digging them out of my bag or my desk several months later. Adam, you probably didn’t expect me to find your business card this interesting! So I needed a way to save the information on those business cards, and in a timely fashion. It turns out that the key is to use Evernote. 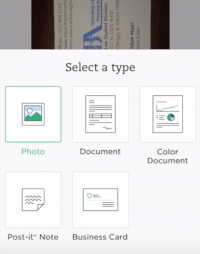 2) Save the image in Evernote as a “Business Card” – as opposed to a photo or a document. 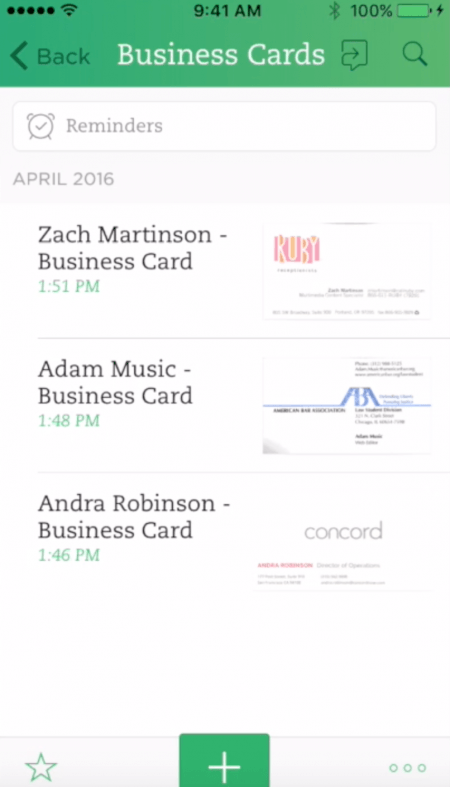 Wait while Evernote converts the business card into a contact. This takes seconds. While it does that Evernote also checks to see if the person is on LinkedIn. 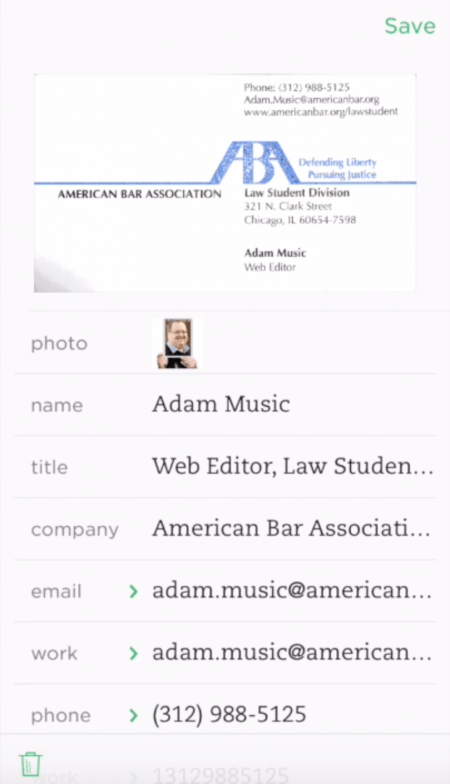 If they are, the person’s LinkedIn information, including photo, are added to your Evernote contact. 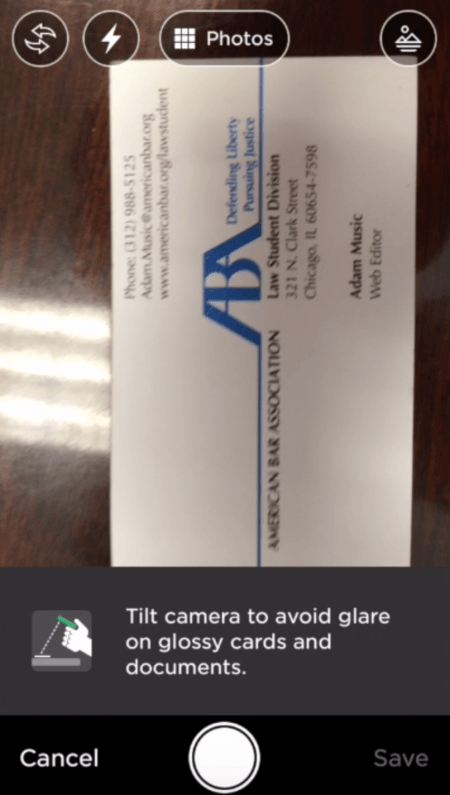 3) Once you have the information, you can use the image of the business card, which is helpfully displayed above, to fill in any missing info. 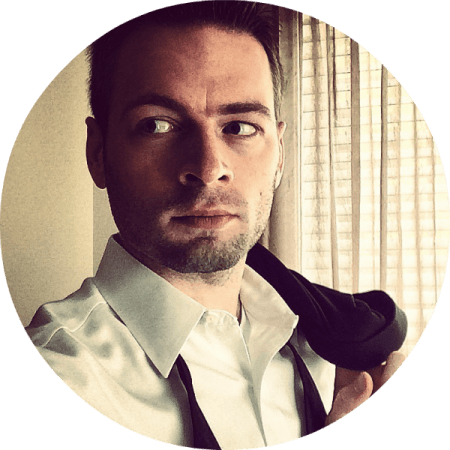 4) Once you’re done, save the contact! You can set up Evernote to save business cards to a specific notebook, and even to your phone’s native contacts app, in Settings. Several additional options pop up: if the person’s LinkedIn profile appears, you have the option to connect with them. You have the option of emailing your contact right from the app to share your contact information – great for networking events. 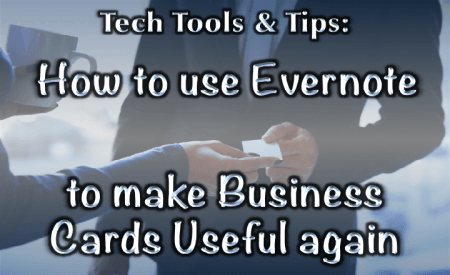 Once you’ve saved the business card, you can set reminders for follow-up through Evernote. Seriously, business cards have become useful again. What’s better, you only need to have the card in your possession for about a minute.